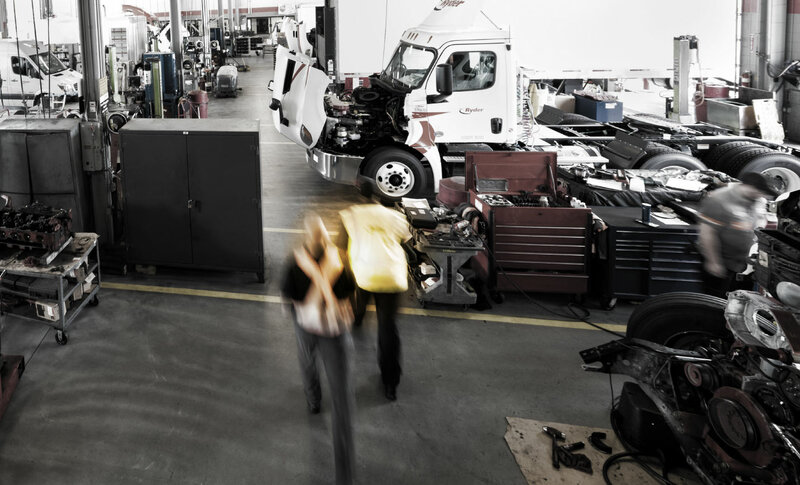 Preventing injuries and collisions improves employee quality of life, eliminates service disruptions for our customers, increases efficiency, and strengthens our brand reputation. Our steadfast commitment to the safety, health, and well-being of our employees, customers, and communities has made us a trusted industry leader. Whether on the road, in the shop, or at a customer facility, our employees put safety first and foremost in everything they do. Safety is a core element of our day-to-day operations, and the responsibility and accountability for employee, customer, and community safety are shared at every level of the company. Every employee is empowered and encouraged to contribute to the strengthening of our safety standards through continuous improvement initiatives. Overall safety strategy is supported by a talented and dedicated safety organization. The safety organization is divided into three divisions: Safety Standards & Technology, Field Safety Solutions, and DOT Compliance, and all three are responsible for promoting and enforcing Ryder’s safety culture. Led by the Senior Director of Safety Standards & Technology. Manages safety policies, technologies, and training, in addition to having responsibility for all safety metrics, online safety systems, and incident management. Led by two Field Safety Directors in Integrated Logistics and a Senior Director of Field Safety within Fleet Management Solutions. Oversees all field safety processes, risk assessments, management training, and safety site investigations and day-to-day safety support. Led by the Senior Director Department of Transportation (DOT) Compliance. Oversees driver performance management and all regulatory compliance activities, supporting operational locations and compliance case management. During monthly conference calls with key division points of contact, our Senior Director, DOT Compliance trains managers and promotes compliance activity accountability. Ryder Fleet Risk Services, which sits within our Fleet Management Solutions segment, works with customers, field operations, sales, claims, insurance operations, and Ryder Fleet Protection Solutions to provide safety training and education to our customers through in-person training, webinars, or written materials. Ryder’s internal Safety Management Plan (SMP) ensures implementation of the safety measures necessary to ensure compliance with the Federal Motor Carrier Safety Administration’s Compliance, Safety, and Accountability program. The SMP outlines our safety strategies, key performance indicators, and regulatory compliance management (including U.S. Department of Transportation). Working in tandem with our SMP, our web-based enterprise risk platform, Ryder SafetyNET, delivers proactive, site-specific safety programs and tracks facility-specific safety data, audit results, safety inspections, and unsafe findings or issues. At the beginning of each year, our safety organization works with each facility to implement site-specific safety tasks based on past safety observations, identified at-risk behaviors, and results of safety inspections. Additionally, Ryder SafetyNET enables us to create Action Plans to address site-specific unsafe conditions should they arise. This easy-to-use platform has transformed our overall Safety Management Plan and enabled Ryder to better target our deployment of safety initiatives and training. Ryder utilizes our current safety management systems, such as SafetyNET and our internal Ryder Policy website, to promote employee participation in the identification of hazards, the assessment of risk, and the investigation of incidents. Our employees actively contribute to occupational health and safety through facility inspections, employee observations, and safety committees. All Ryder operations promote the use of Safety Committees – a group of Ryder employees, generally volunteers, who have a common goal of ensuring that the location is meeting all safety and/or compliance requirements as defined by SafetyNET. Safety Committees share information relative to recent incidents and root causes, define safety action items and facility improvements, and assign specific tasks and inspections to employees. Safety and Compliance Training is of vital importance in our industry, and Ryder has developed an extensive training curriculum with various delivery methods to ensure that our workforce is well educated on safety and compliance topics. We proactively deliver safety programs tailored to every location via Ryder SafetyNet. Our safety policies require that all managers, supervisors, and employees incorporate safe processes in all aspects of our business. We house our numerous safety policies regarding FMCSA compliance, driver safety, and driver expectations (e.g., personal accountability for stopping unsafe behavior, fatigue management, and prohibition of cell phone use while driving) within an internal Ryder Policy website. These topics are covered during New Employee Safety Orientation, which may be offered in-person or online, depending on cohort size and location. Management also tracks and reviews monthly safety scorecards for progress toward key safety objectives on SafetyNet. Ryder supervisors receive Fundamentals of Safety Management training to ensure a thorough understanding of their safety and compliance roles and responsibilities. All drivers receive quarterly training through our highly-interactive Ryder Pro-TREAD comprehensive lesson platform, which covers an extensive list of safety and compliance topics. For full-time drivers with at least one year of experience, we offer a Certified Driver Trainer certification course to ensure we have a base of certified trainers to provide new driver safety orientation and driving skills training to drivers that need additional support. The Certified Driver Trainer certification further engages employees around a culture of safety, enabling peer-to-peer safety education and empowering employees to become leaders in driver safety. We currently employ a network of more than 300 Certified Driver Trainers. 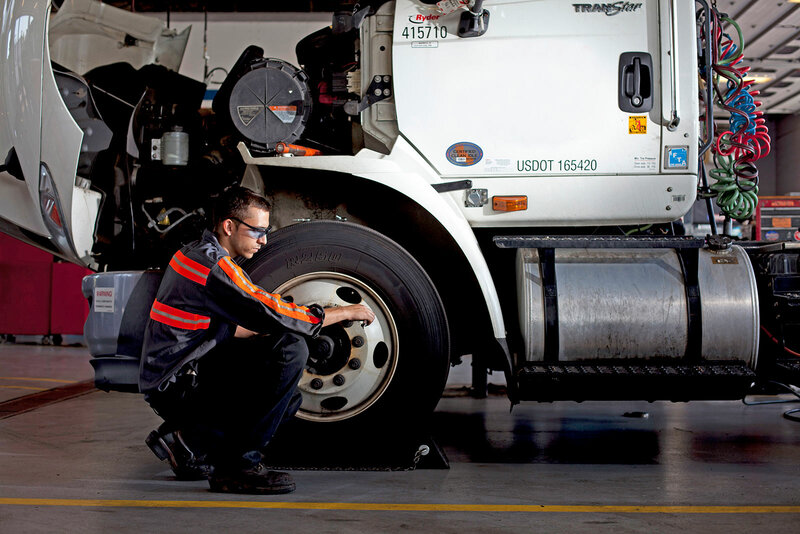 In addition, managers throughout the organization conduct daily safety behavioral observations, and all Ryder operations receive bi-weekly safety messages regarding safety issues facing commercial truck drivers, such as driver fitness, sleep apnea, taking breaks, and roadside inspections. Our FOCUS Lean Location Safety Evaluation is a continuous improvement process designed to identify location-level safety issues, develop solutions, and standardize improvement plans from lessons learned to prevent injuries and collisions. During a FOCUS event, our Field Solutions group identifies the root causes of collisions and workplace injuries, observes these causes in the field, and develops solutions to address them. These solutions are then implemented at the site to drive improvement in the operational safety performance at the location. Findings are communicated to the location’s employee base through a safety meeting, while major lessons learned and best practices are shared on our safety scorecard calls and incorporated as applicable across the entire organization. Ryder’s Incident Management System—housed in Ryder SafetyNET—is used to report injuries and near misses throughout all Ryder business segments. To ensure the timeliness of injury treatment and reporting, Ryder has collaborated with Medcor Injury Triage, a telephonic injury assessment service that provides our injured employees and their supervisors with immediate access to medical professionals, 24 hours a day, seven days a week. When an employee reports an injury, and it is determined that it is not life-threatening or does not require immediate medical treatment, a trained and qualified injury triage nurse, via phone, will speak privately with the injured employee and their supervisor. Following specially-designed protocols, the nurse will determine the seriousness and nature of the injury and the best way to address it. If the injured employee can safely return to work, the nurse will provide first aid, or “self-care,” instructions to the employee. These instructions can also be provided electronically, and the supervisor will partner with the employee to ensure they fully understand the direction provided by the triage nurse. If self-care is not an option, the nurse will refer the employee to a local occupational medical facility, to which the employee’s supervisor will ensure immediate access. As important as it is to train our employees in proper safety procedures, it is equally important that we ensure that our employees are provided with safe equipment with which to do their jobs. Since 2014, we have equipped our new fleet purchases for DTS and SCS with an advanced safety package, which includes collision mitigation technology, active brake assistance, adaptive cruise control, lane departure warning, roll stability, and LED headlights. Ryder has also installed video event recording technology in all SCS and Dedicated vehicles. After a thorough vetting process, Ryder switched to a single platform in 2016 and is using the Lytx DriveCam technology, which includes an internal- and external-facing camera secured on a truck’s dashboards. The camera is triggered by events, such as hard stops, bumps, hard turns, and speeding events, recording eight seconds of video prior to and four seconds after each event. Lytx is notified and reviews the video for issues such as driver cell phone use or other unsafe behaviors, and sends the video to the driver’s manager. The manager reviews the video with the driver during a coaching event, if applicable, to prevent repeat behavior. This video evidence has not only helped proactively identify unsafe driving behaviors to prevent collisions and injuries, but has also helped exonerate our drivers in certain circumstances. This DriveCam technology is installed on all dedicated mobile maintenance vehicles in the FMS business and will be rolled out to service vehicles in 2019 and 2020. We also recognize the effects driver health can have on safety. We require our drivers to pass a pre-employment drug screen, have a pre-employment physical exam, and participate in DOT recurrent physical evaluations to ensure they are fit to drive safely. To prevent the risk of driver fatigue, drivers in Ryder’s DTS and SCS divisions who have been identified as high risk for obstructive sleep apnea during their recurrent DOT medical evaluation may participate in Ryder’s Sleep Apnea Program. Participation requires the completion of a sleep study which can diagnose and confirm the extent of the driver’s obstructive sleep apnea, and determine the appropriate treatment. Under Ryder’s program, the sleep study and all equipment to treat sleep apnea are provided to the driver at no cost, as long as they continue to utilize the equipment properly, meeting the necessary usage protocols tracked by a contracted third-party healthcare vendor. The FMCSA reports an average industry Recordable Crash rate of 1.5 crashes per million miles (CMM). Ryder has a stretch goal targeting zero collisions; currently, Ryder’s crash frequency is less than half the average industry rate.